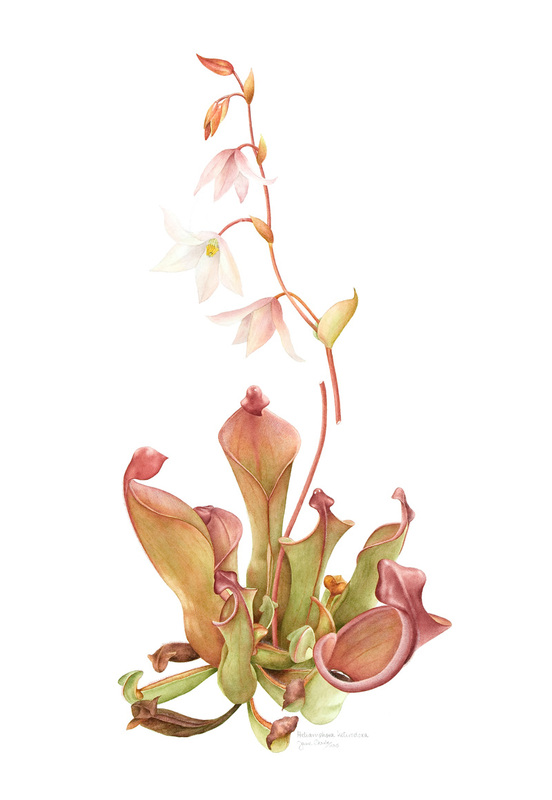 I am delighted to offer a strictly limited edition of ten double-mounted giclée prints of my painting of Heliamphora heterodoxa, which won a silver-gilt medal at the 2015 Botanical & Floral Art in Bloom Exhibition in Phoenix Park, Dublin, Ireland. Each print is produced to the highest archival standards by The Copper House in Dublin, and comes with a hologrammed authentication certificate. The overall dimensions, including the mount, are 35.4 x 45.5cm (14″ v 18″); image area measures 23.7 x 32.8cm (approx. 9.35″ x 13″). No further prints of this painting will be made. Price per print €120 plus postage and packing – please email me at laragan.hall@gmail.com for p&p rates, which will be charged at cost. Payment by Paypal or bank transfer – please email for details. Please note: The image above may not be reproduced in any printed form whatsoever without written permission from the artist as well as an appropriate credit line. If you wish to reproduce it on the internet, please include the above caption and credit line. Silver-gilt award at Bloom 2015. Bloom In the Park is Ireland’s largest horticultural and food festival. For five days over the June bank holiday weekend, a portion of Dublin’s Phoenix Park is turned into a festive wonderland of gardens, floral displays, artisan food, entertainment and, for the last three years, the very best in Irish botanical and floral art. 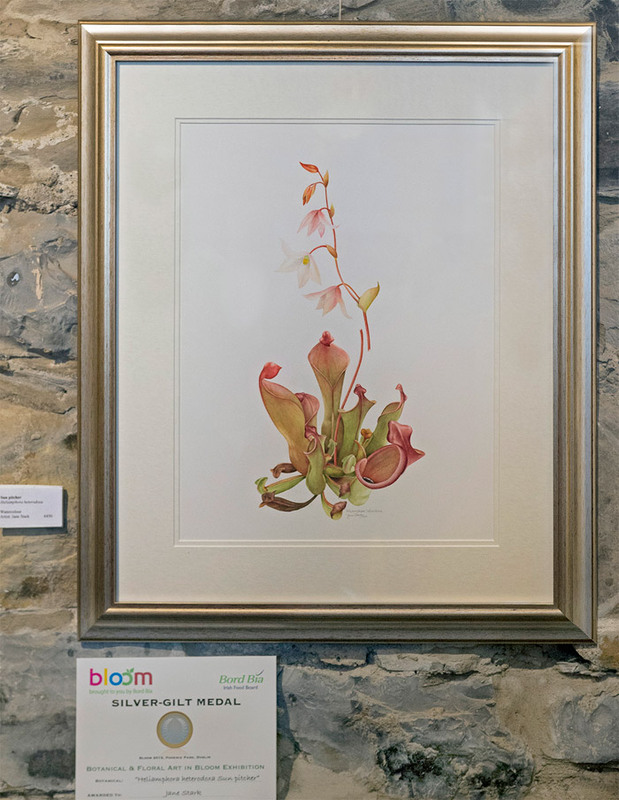 The 2015 Bloom Floral and Botanical Art Exhibition featured a total of 53 adjudicated paintings. That 21 of these paintings received awards was a testament to the high standard of the work in the exhibition. I felt very honoured to be included amongst the award winners, receiving a silver-gilt for my Heliamphora heterodoxa, a sun pitcher from the Guiana Highlands of South America, belonging to the carnivorous plant family Sarraceniaceae. Whilst working on this painting, I became fascinated by carnivorous plants, and I look forward to painting more of them.